How Is Your Store Doing? Well, we are getting set for the last quarter and that is the time that all retailers look forward to, as they do a bulk of their business at this time. The reports in the news and trades show that the economy has improved somewhat and that consumers have been going through spending spurts. The holiday season has always been successful for retailers, regardless of the economic climate. While the large mega-stores get upset by not posting gains, the small independent retailer is happy to clear their shelves and move inventory for the last quarter. All that the retailer wants to see is profits at the end of the year and this is the time that with proper marketing and merchandising he will be able to see that! 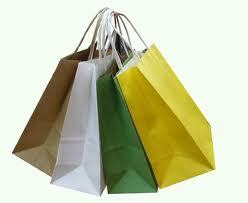 Your merchandise mix is extremely important to your sales success. 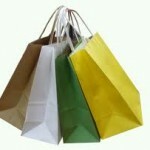 Having the right blend of merchandise at the right prices is going to dictate how you do this season. Many retailers have been using our wholesale merchandise magazine, Retailers Forum, to find merchandise, as well as visiting all the popular trade shows. Now is the time of the year to start your holiday marketing programs and promotions. The more you promote your store the more sales you will have. Make sure you take full advantage of the inexpensive social marketing that you can be doing for your business. This is a good time to update your customers mailing list info, email addresses, twitter accounts or whatever to get the word out…. We’re here and ready for business!